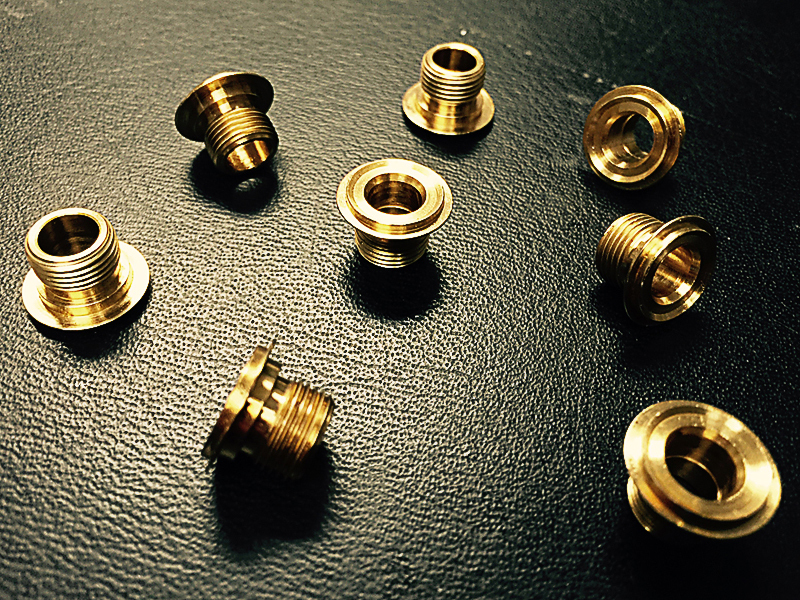 At S & H Glenco Manufacturing, LLC, we are a well-established provider of screw machining services. Since 1957, we’ve been providing precision manufacturing that is cost-effective, consistent, and reliable. Many of our projects, such as the one highlighted here, demonstrate our ability to fabricate precision products in large volumes. In this example we were contracted to produce a front bushing used in automotive and aerospace applications, at a volume of 500,000 annually. This part, measuring 0.368" long and 0.557" in diameter, would have to be made consistently using a fast, efficient, and high quality process based on customer-provided CAD drawings. We elected to use our standard screw machining approach along with a deburring step and a nickel plating process, which the customer’s design required. Free cutting Brass-Copper alloy no. 360 was chosen as the build material, owing to its good strength profile and its ability to cut accurately. Nickel plating was done using RoHS-compliant Electrode deposited Nickel Plate with a bright finish, ensuring that a good layer of protection would result without inflating dimensions. Maximum tolerances were ±0.002". We continue to be a major precision manufacturing leader, providing a complete fabrication solution that does not compromise on volume, speed, quality, or precision of manufacture. Feel free to contact us directly to learn more about our services.